How to change the check box fields color? having trouble changing the color of the check box fields and the check marks in the fields - all whit on white. maybe the border around the box can be a med gray and the check marks should be the same color as the labels. the form is https://form.jotform.com/63189277072968. I presume you have applied a theme on the form? You can change the style and color of the check box using the Form Designer Tool. 1. 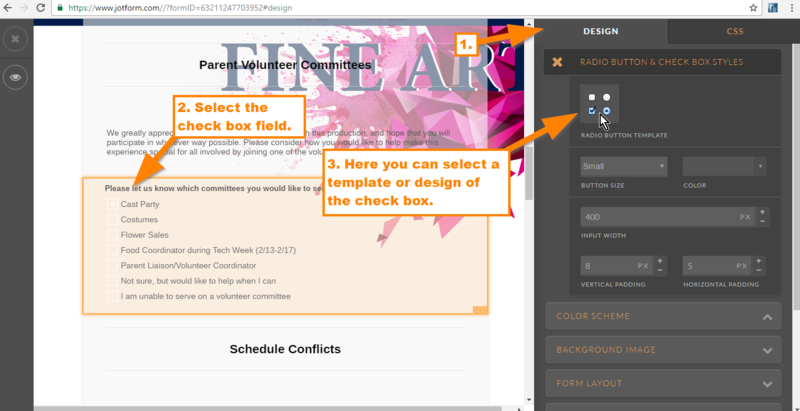 In the Form Designer Tool, select the check box field, you will see at the right side panel the check box style options. Select a template. 2. 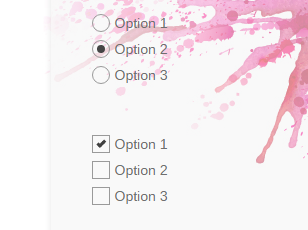 Here you can select a style of the check box, select the one you like. Save the changes and view the form again. I tried that and it did not appear to work. Did you test it? I checked your form and there's a theme installed in it, that's probably the reason why changes in the form designer are not taking effect. Anyway, to change the checkboxes and radio buttons to grey, inject this CSS codes to your form. 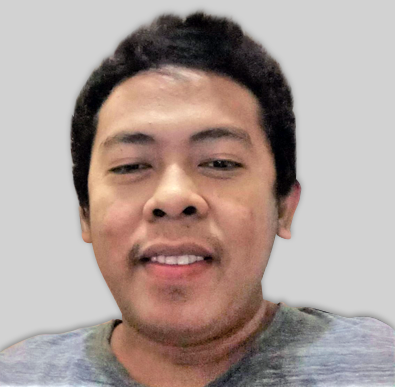 I used 2px border instead of 1px but feel free to use whichever you prefer.